Operation Nanook is an annual Canadian Armed Forces (CAF) exercise held across the Yukon, Northwest Territories, Nunavut, and Labrador with the goal to show sovereignty in the north, improve its ability to operate in the Arctic, improve coordination with indigenous, territorial, and federal governments and partners, and work with mission partners to respond to safety and security issues in the north. It is the latter, safety issues, that are of interest this year as exercise READY SOTERIA 2018 (RESA 2018) was put into action as part of Op Nanook to validate whether this particular contingency plan is appropriate and meets the needs for which it was developed. For interests sake, SOTERIA is the Greek goddess of safety and deliverance from harm. RESA 2018 was held in Yellowknife, N.W.T. from the 17th to 21st September, 2018, to test the contingency plan for dealing with a Major Air Disaster (or MAJAID) in the far north with the actual simulation held further south. For the purposes of the exercise simulation, the MAJAID scenario was an airliner crash with 199 persons on board with the forward base in Sach’s Harbour on Bank’s Island (about 2130 km north-north-west of Edmonton) and the crash site about 470 km further north-east on Melville Island. In reality and for exercise purposes, the forward base was setup in the Yellowknife Airport with the incident site at the territorial gravel pit on the Dettah Road about 19 km from Yellowknife by road, or 6.2 km by air. RESA 2018 was never meant to be a test of the overall, whole-of-government response, as parts of that dynamic had been tested prior to this exercise. RESA 2018 was only meant to be a tactical exercise for the CAF to test the Air Task Force piece of a MAJAID response to a major crash, independent of any other factors, so that they could streamline their processes to fix anything that didn’t work according to plan as well as practice the plan. To that end, the critical pieces are the initial response by search and rescue and their Canadian Army Advance Warfare Centre (CAAWC) security teams as well as the deployment of the MAJAID Kit along with the deployment and workings of the HSS. The MAJAID Kit is a palletized set of equipment that consists of tents, sleeping bags, food, water, heaters, generators, and a couple of ATVs. It can be deployed by air insertion within 24 hours from Trenton and has enough equipment and supplies to support 320 people for 72 hours. It is accompanied by SAR techs and a security team from the CAAWC who jump in with 24 hours of personal supplies. 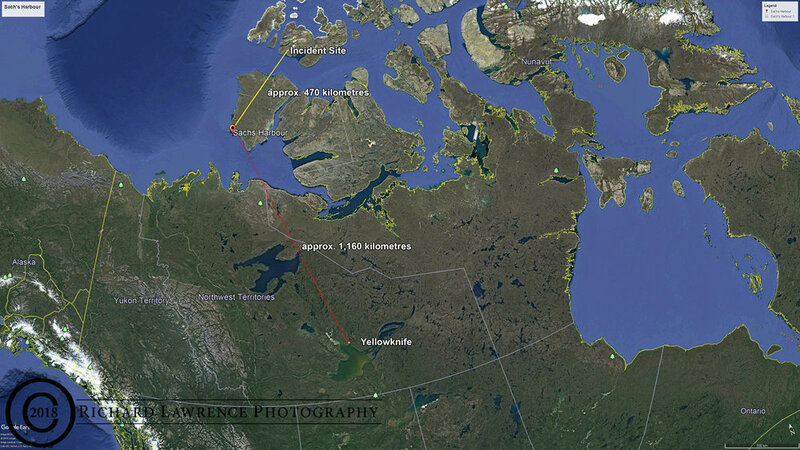 As a note, the transit time from Trenton to Sach’s Harbour would have been eight hours. In such a disaster, the first notification would be to one of three Joint Rescue Coordination Centres (JRCC): Halifax, Trenton, or Victoria. 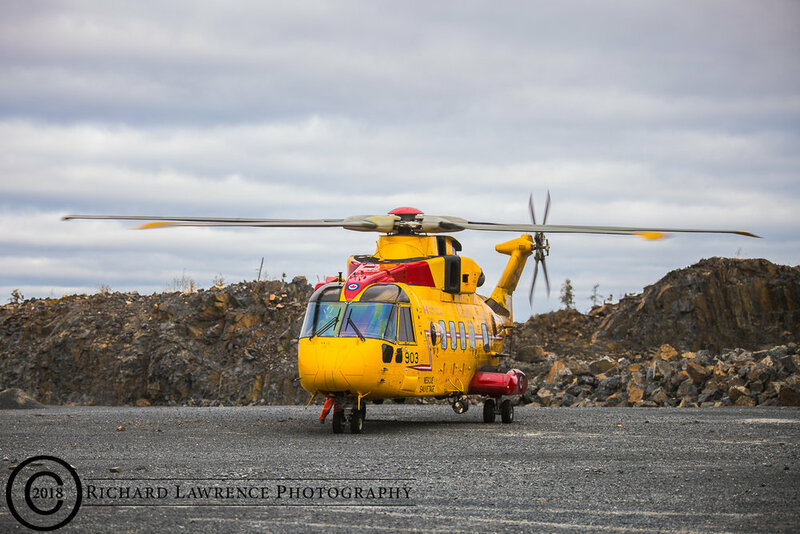 The JRCC would then launch the primary Search and Rescue (SAR) assets, such as Search and Rescue technicians (SAR techs), helicopters, and/or CC-130 aircraft. Normally there would be two SAR techs to an aircraft but in this type of emergency all SAR techs would be recalled and as many as could fit into the aircraft with their equipment would be sent. So, instead of two SAR techs the initial response could be 6 – 10 with equipment. Other primary squadrons from around the country would fly in their assets in a second wave of response as soon as they could be gathered and moved. location identified (locations are already identified in the plan so it’s more of a selection) and the wider response would start. 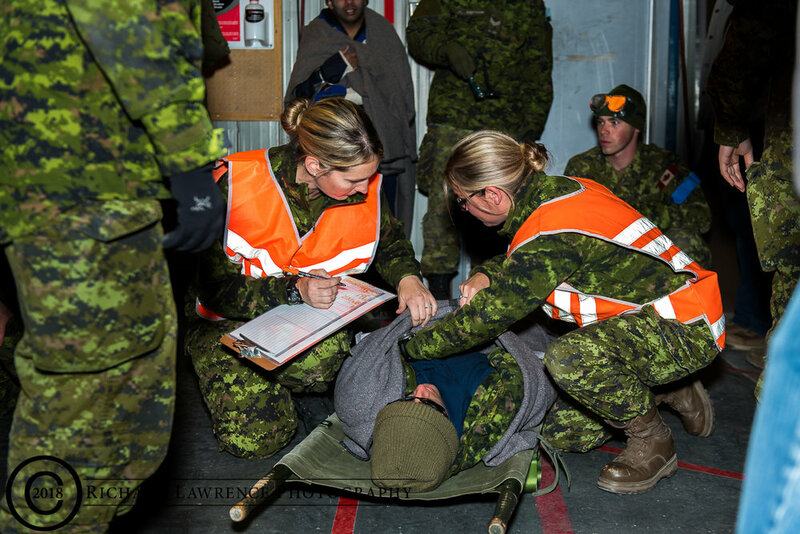 The Air Task Force (ATF) commander for RESA 2018 was Maj. Rich MacEwan who commanded the exercise with Maj. Carly Montpellier (2 Field Ambulance, Petawawa) commanding the 35 medical personnel of the MAJAID Health Services Support (HSS) unit, both operating from the Yellowknife airfield. The HSS unit was capable of handling 100 casualties. Once on the ground and setup, the SAR techs would do initial triage, separating the victims into green, yellow, red, and black categories, depending on the type and severity of the injury (green = good, black = dead). As this is happening, air resources are brought to bear to evacuate the injured to the forward base where they are again triaged (ratings may have changed during the time between initial triage and arrival at HSS). The HSS responsibility is to setup at a forward base and keep people from dying (triage and treat), and manage pain before onward evacuation to regional hospitals or medical facilities better suited to treat the injured. It was noted by LCol. 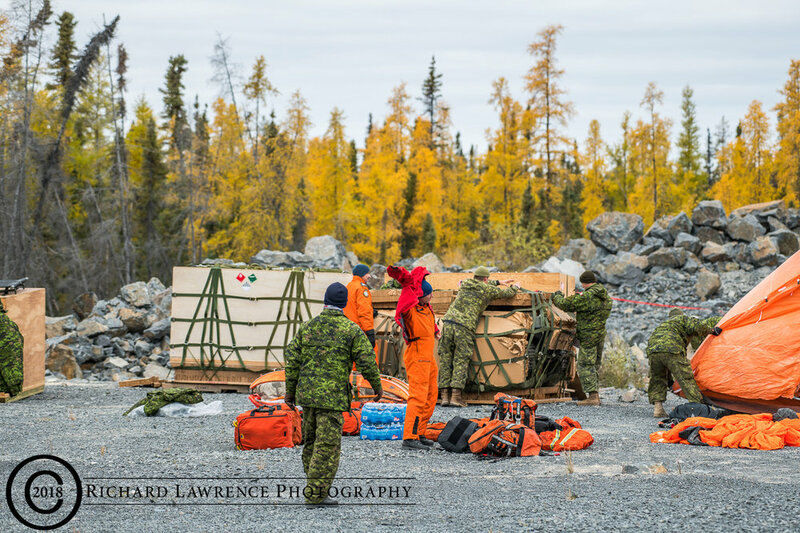 Jay Steele, Search and Rescue Advisor at the Combined Joint Operations Command (CJOC), that in all likelihood, the CAF will not be the first responders on scene but rather Canadian Rangers, hunters/trappers, mining company staff and/or local communities will be first to the site. He further stated that one thing you cannot do in the north is stop people from helping because it is in their nature to do so. It doesn’t matter what the problem is or how severe, the people of the north rush to the cause to provide whatever assistance they can. And because they know the area and are used to any weather conditions, that help can be invaluable. However, the CAF “may be the only ones that can come with that much force or that much material to help out”. BGen Dave Anderson, Deputy Chief of Staff - CJOC, made the point that this type of scenario is not a CAF problem but a problem for the province/territory in which the disaster occurs and that the CAF works with them. It is not the job of the CAF to come in and take charge of everything, as that is not helpful, but to co-ordinate with the local/regional authorities and provide whatever assistance that they require. In essence the CAF is in a support role to the governmental authorities and other agencies. DND has a tradition of inviting media up north to view some of these exercises and this year was no different as a group of about 6-10 media types and about 30 VIPs (government officials mostly with a couple of defence attachés and Coast Guard) were at the Canada Reception Centre in Ottawa at 0930 hours to catch a RCAF CC-150 leaving at 1100 hours for Edmonton. We arrived in Edmonton (actually Nisku about 20 km south of Edmonton and not near anything) about 1300 hours local time where we checked into the hotel for the night (not at DND’s expense). At 0700 hours the next morning we were on the shuttle bus back to the aircraft for the final leg up to Yellowknife, leaving at 0830 hours and arriving 1030 hours. I was excited to be in Yellowknife as I’ve always wanted to visit but coming from Ottawa to Yellowknife was a bit of a weather change from 28 degrees and sun to -2 degrees with overcast and wind. then broken apart for setup. It is important that the tents get setup immediately and heaters started so victims can be brought in from the elements which, that far north, can be harsh on a good day. It seemed from the exercise that security put up their perimeter on the site and setup the MAJAID kit while the SAR techs started to triage the victims. Once available for occupancy the less serious cases (green, yellow) were moved into one tent and the more serious (red) into another where the SAR techs continued to provide medical care to the injured. While it seems unemotional and cold, the dead were left on stretchers outside and covered up as there was nothing to be done for them other than to protect them from animals. 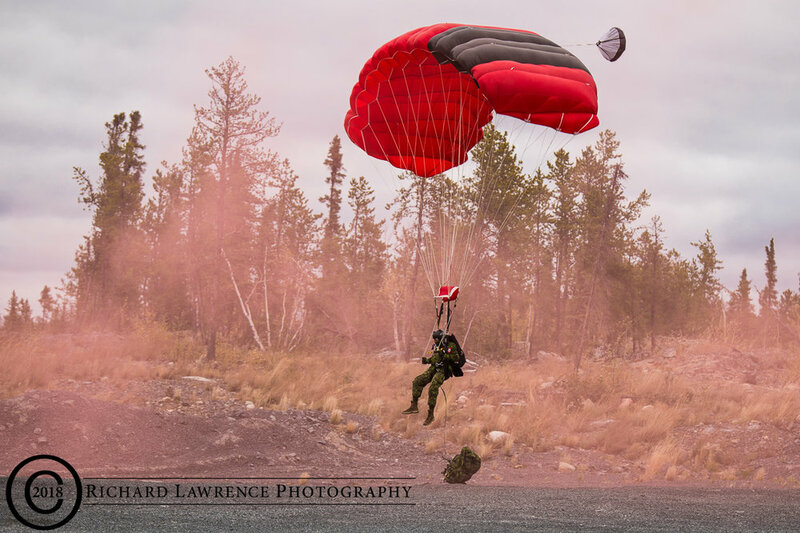 As this initial response was well underway, a second wave of SAR techs parachuted into the site simulating the arrival of resources from other than the primary SAR response units. After a time, a CH-146 Griffin helicopter arrived and a couple of stretchers were flown out but this is a small aircraft and of limited use because of the small load it carries. Still later, a CH-149 Cormorant came in and evacuated a larger number of casualties back to the HSS. All in all we spent about 90 minutes observing the scenario as it unfolded. Everyone was very committed to the exercise, including the simulated victims who moaned and cried and complained. Only the dead were stoic but even they looked up occasionally to see what was going on or to adjust their blankets to keep warm. The SAR techs/security teams dutifully attended to all victims and got the MAJAID Kit setup in short order and started moving the victims to a more hospitable environment out of the cold. Once the helos arrived, they were very quick to get people loaded and away from the site to the HSS. 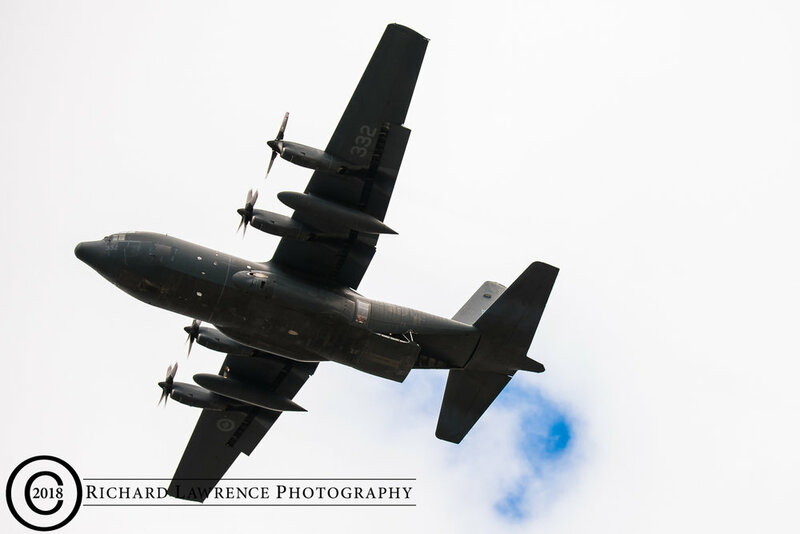 The only real hiccups at the incident site came with the initial parachute drop and later with an equipment drop from the CC-130J. In the initial parachute drop of SAR techs/security teams, the wind kicked up a bit and a couple of people found themselves heading for the trees and power lines by our bus. Everyone managed to “shorten sail” as it were and landed short of the trees and cars so this was possibly more real-life than they were hoping for. Later, a CC-130J was doing a parachute drop of supplies and the directing staff thought that it would be a good idea for everyone to vacate the lunch tents to observe. They also instructed everyone to identify and watch the package all the way to the ground in case the wind caught it and it came near them or the tent. This was a good idea as the package did get caught in the wind and landed closer to the lunch tent than I’m sure staff would have liked. After our time at the incident site, we were bussed back to the Yellowknife Airport to observe the HSS team in action. This team was situated in the old fire hall and commanded by Maj. Carly Montpellier of 2 Field Ambulance, Petawawa. The HSS consists of medical officers, nursing officers, medical technicians, preventive medicine technicians (look after camp hygiene, water, food, etc. ), a pharmacy tech, and two members with an aero-medical evacuation specialty. The primary role is to provide life-saving intervention and pain management prior to evacuation to a higher level of care as well as rearward tracking of the patients. We were able to observe patients on the tables being assessed and attended to as well as watch new patients just off the CH-149 from the incident site be re-triaged and moved into the building. The HSS building was small and everyone was packed in. It seemed well organized although we were told that they had been almost overwhelmed earlier because the short transit time from the incident site (5 minutes) allowed the patients to be evacuated to the HSS in a much shorter time than would have been normal in a real disaster. The last stop was to the Air Task Force Command Centre where we were briefed by Maj. Rich MacEwan, the task force commander. His role was to coordinate the CAF air assets to provide the rescue and evacuation to medical care at the forward base and subsequent airlift to higher medical care. They also look after all liaison with regional and territorial organizations, and logistics and administration. At its basic level, the command centre is a room/tent with a bunch of computers and comms equipment with groups of officers handling all aspects of coordination, liaison, logistics, and administration. As stated by Maj. MacEwan, initially at a forward base, there may be nothing on the ground for an ops centre and they need to get in with ops officers, communications (telephone or sat phone) and whatever else may be needed. If required, they can go in with a more army setup with modular tents, generators, and cots but there is a need for some basic infrastructure to support re-supply and HSS as well as a way for a CC-130 to take off and land. As the SAR response starts, a list of already vetted forward bases is reviewed and one of those would be a first choice, depending on the proximity to the incident site. BGen. Anderson talked about some of the take-aways from this exercise with his first comment regarding the amount of time it takes to reset the MAJAID Kit once it has been deployed. In short, it takes 90 days before the MAJAID Kit can be used again and should another disaster occur during that period, the kit is not available. The easiest fix to this is to have a second MAJAID Kit ready to go. As well, the tactical operators are looking at the kit during this exercise to make sure its components are appropriate to the job, especially if the CAF is going to purchase a backup kit. He also felt that the command and control of the scenario was overcomplicated with the ATF commander working for the MAJAID Task Force Commander who works for the Commander 1 Cdn Air Div (Winnipeg) who is also the air component commander for MGen Rouleau who works in Ottawa. He suggested that as the Joint Task Force North (JTFN) has already established links to governmental and other agencies that perhaps the MAJAID Task Force could deploy liaison officers who would then go in and meet their counterparts in the territorial or provincial operations centre thereby taking some of the workload off the MAJAID Task Force, who are already busy. Lastly, BGen. Anderson commented on the lunch supplied to the group which was military IMPs served in an unlit tent at the incident site. He said, “ … poutine in a bag – that’s an abomination! It’s an offence against humanity … it never should have happened.”. BGen. Anderson is from Montreal so I guess he’s entitled to an opinion. as train derailments, boating disasters, bridge collapses, floods, etc. Training in a harsh environment only makes sense if one “plans for the worst and hopes for the best”. At 1530 hours we re-boarded the aircraft, after five hours on the ground, and headed back to Ottawa. After two days of travel, and seeing an airport and a gravel pit, I can still say I’ve never been to Yellowknife.